Design example : The "Cortez-Project" can be used to show the variety of my design experience in several fields. The Station-Master-1000 Control-Panel represents a mixture of basic html and a simple Java-applet to talk via a web-host based java-servlet to the destination client controlling paralleled RF-amplifiers. The entire design was one of my most recent projects. Work history : Worked for several companies as design engineer (employee), (ITT Austria, Philips, Margaux Controls, WYSE technology, Apple Computer (contract). Self employed since 1987 with contracts till present. 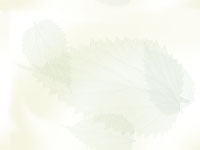 I also worked on various digital design projects along with software tasks which were not related to embedded controls. However, this resume focuses on the projects, which I believe show the best of the variety of my design capabilities. Some programming experience with MS-Windows, Visual C++ with MFC, Borland C++ Builder and Java (J2SE, J2EE). Throughout my professional career I worked on various hardware and software test projects including software verification testing and hardware component level diagnostics. Software (Firmware) : Several assembly languages for INFINEON / SIEMENS (C161CS, C164CI, C167CS, CAN-bus, etc), INTEL (80x96, 80x86, 8051, etc), MOTOROLA (680xx, 68xx, especially the 683xx family including custom TPU coding). Specialized in "C/C++"-language for embedded controllers (32-bit, 16-bit, 8-bit, Infineon / Siemens, Intel, Motorola) with real-time-critical assembly code. Drivers for CAN-bus networks. Interrupt supported application code and debug monitors, stand alone assembly or with "C/C++"-language framework. UCOS multitasking kernel ports to 80196, 68332 and C167CS CPUs. Embedded remote control with networking over the internet by writing Java applets and servlets using J2SE and J2EE. multitasking framework with high speed real-time interrupt support. Also Win32 instrumentation and control user interface design using Borland C++Builder. Java J2SE and J2EE internet network software. 2001 to present : Yoshimura-RD (Chino, CA). Designed hardware and firmware for a custom fuel injection and ignition control unit for racing motorcycles. Hardware based upon Infineon C161CS microcontroller. Firmware written in “C” and assembly. PTI corporation (Penryn, CA). Designed custom contoller to monitor DC parameters of up to 50 paralleled RF-amplifiers including their remote control over the internet. Hardware based upon Infineon C164CI microcontroller with various ISR supported SPI peripherals. Firmware written in “C” and assembly. Remote control software written in Java J2SE and J2EE. 2000 to 2001 : Asyst Technology (Fremont, CA). Wrote firmware for conveyor control boards (lowest level stepper motor control) using Infineon / Siemens C515, assembly and “C”. 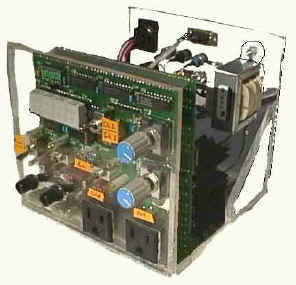 This project used a CAN-bus network for inter module communication. Redesign of C515 hardware to use Infineon / Siemens C167CS high performance 16 bit CPU to replace two C515 modules, increase processor bandwidth and reduce cost. 1999 to 2000 : Redwood Microsystems (Redwood City, CA). Wrote RISM concept monitor kernel for Infineon / Siemens C16x family of microcontrollers (assembly and “C”). Designed control hardware (analog and digital) for new generation of Micro-Valves. 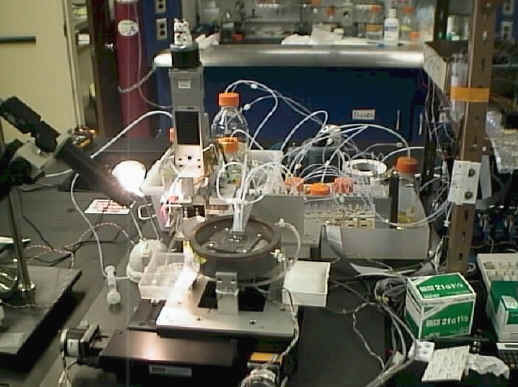 1997 to 1999 : Protogene Labs (Palo Alto, CA) Sole responsibility for motion control of chemical reagent deposits with piezo-jets. Dual CPU high performance design utilizing two MC68736s with QSPI I/O and inter-processor-communication. 1st CPU handles up to 6 stepper motors with full parallel processing and motion, accel / decel. programmability. With optional quadrature-position and index detection. Selectable normal-stepping (200 / 400 Steps / rev) or micro-stepping (up to 12800 steps / rev, without speed degradation). Custom TPU code for table driven interrupt supported stepper motor control . Queing of commands and parallel processing utilizing the UCOS (Copyright Jean J. Labrosse) multi-tasking operating system. 2nd CPU is responsible for the application (ballistic real-time printing) of chemicals through high-voltage piezo-jets (6 total). Full programmability of pump / refill / idle cycle (sub-micro-sec resolution) and pump / refill / idle voltage bursts (DAC programmable up to +/- 70V). Custom TPU code for table driven interrupt supported printing software (timing and voltage). UCOS support as well. The design allows the expansion by using more Piezo controllers for a more complex print matrix. X-Y-table with Z-axis tower holding the piezo-jets. Additional motor controlled movements inside the reaction chamber. 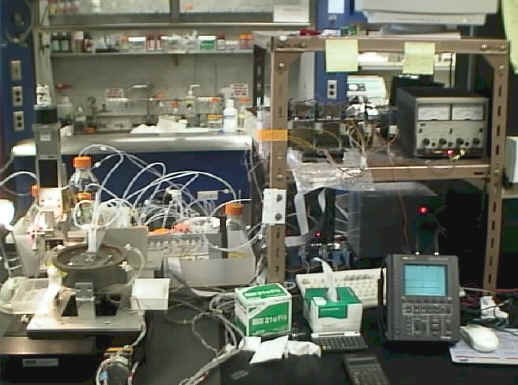 1995 to 1996 Instruments for research and industry. Sole responsibility for the whole project (concept, HW/SW design and mfg) of a temperature and pressure/vacuum controller for chemistry labs. It was based on the Intel 8098 (8x96, 8x196 family) 16 bit micro-controller with built in 10bit ADC. The analog front-end had 4 overlapping autocalibrating ranges with polarity detection and achieving 13 bits of resolution by using standard low cost components. Analog inputs are T, J, K type thermocouples, RTDs, silicon based mV pressure/vacuum sensors and high-vacuum const-current heated pirani gauge type sensors. Micro-Craft manufactured 400+ boards. or pressure/vacuum sensors or RTD adapter or high vacuum pirani-sensor adapter. Two by software controlled PWM or phase-angle AC outputs with 10A load capacity. 1994 various small contracts including high speed digital design for disk-drive manufacturing testing (various 22V10 PLD state-machine designs in CUPL). 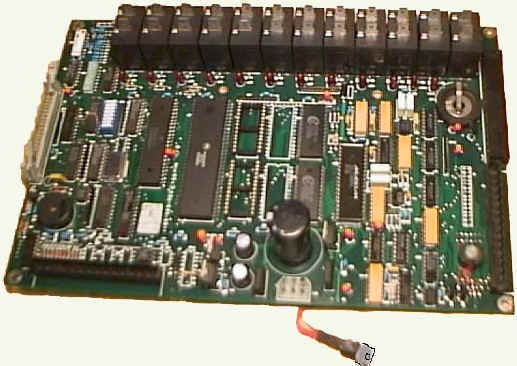 80198 based motor control firmware for cassette eject of tape-drive for RByte-inc. Touch-screen control firmware for Inforite-corp (real-time critical assy and "C" for Intel 8051). Took UC-Berkley "C++" class. Completed 3 UCSC extension classes in MS-Windows Software including "C++" using the MFC library. 1991 to 1993 US-Comlink. Wrote Firmware for 68HC11 based pre 2nd generation highway-emengency-call-box controller. Designed 2nd generation controller based on Motorola 68332 including initial port of 68HC11 based firmware. The controller managed 5 serial channels (Rockwell-modem, 4 ext SIO), a clk/data programmable Motorola cell-phone and various safety switches (battery-management, solar-panel, etc). 1988 to 1990 Savant Instruments. 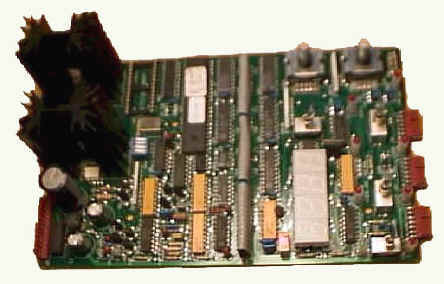 Controller for heated high vacuum centrifuge based on Motorola 68000 CPU. Complete digital and analog hardware design (thermocouple inputs for temp. and 10kHz heated thermocouple inputs for Pirani high-vacuum sensors) plus firmware driver design (assembly and "C"-language). 2nd project was based on similar digital design and precision 3 wire RTD sensors added to the self calibrating analog front-end. There have been 1000+ boards produced at Micro-Craft. Sorry about the resume unrelated footnote below (Unimogs, Unimog-parts, etc), but it's part of the Web-design software.